Virginia Episcopal School is a highly selective Day and Boarding coeducational school founded in 1916. With a student population of approximately 250 boys and girls there are plenty of educational and athletic experiences available for all those who attend. VES as its commonly referred to was the first school in the Lynchburg area to have a lacrosse team and boasts one of the oldest continuous high school programs in the area. Through out the years many boys and girls have participated in lacrosse at VES and some have continued to play at the collegiate level. 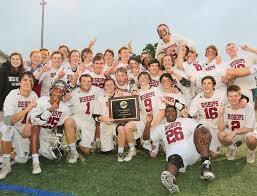 Recently led by Mike Gardiner the Bishops have seen a return to championship caliber lacrosse. The VES Boys Lacrosse team plays in the VISAA Division 2.